From a personal or small business brochure, to a powerful dynamic website, we have right services for you and at the right price... $0.00! 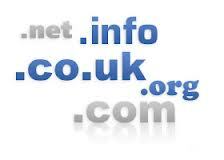 A powerful free hosting solution which will get your website online quickly and easily. Our free accounts offer a great service with all the tools you will need to administer your website, including an automatic script installer. If you need a complete, fully supported solution, in a competitive package. Our servers are configured with the latest versions of PHP, MySQL and Apache Web Server Software, reguarly updated to ensure optimal security and compatibility. Instant activation on free hosting accounts means you can signup and within seconds your account is ready to use. We do include some very handy features in the control panel, one of which, enjoyed by all our customers, is the automatic script installer. You can choose from a large list of popular scripts such as message boards, blogs, photo gallerys, wikis etc. The script is installed into your webspace in seconds, saving long upload times and bandwidth. All of our Premium Hosting solutions include free domain names and are powered by the industry standard cPanel control panel system. we provide Cpanel and phpMyadmin to manage your websites, and we also give you a free domain name of your choice with every account.